Mas de Baraquet is where Ginny fell in love with French design. 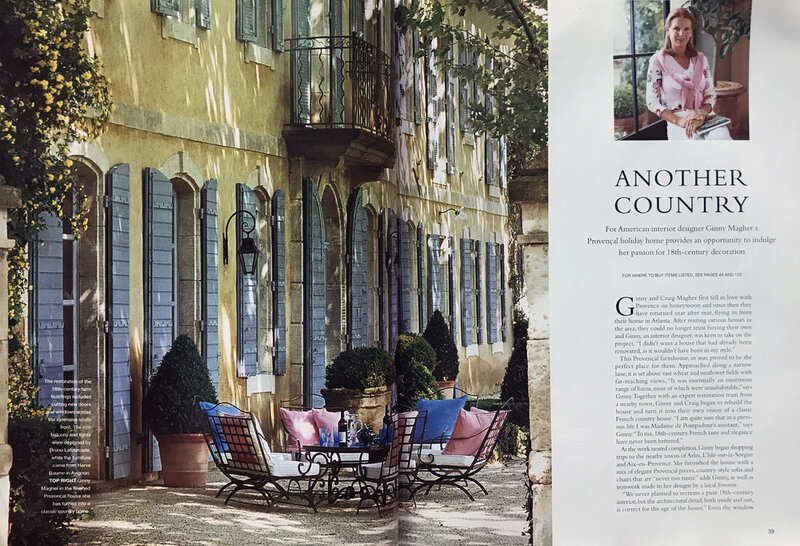 With the husband and wife team Bruno and Dominique Lafourcade, she transformed a crumbling structure in Provence, France into the home that has now been featured in British Homes & Garden, Maisons Côté Sud, Architektur & Wohnen, and French Elle Decoration. 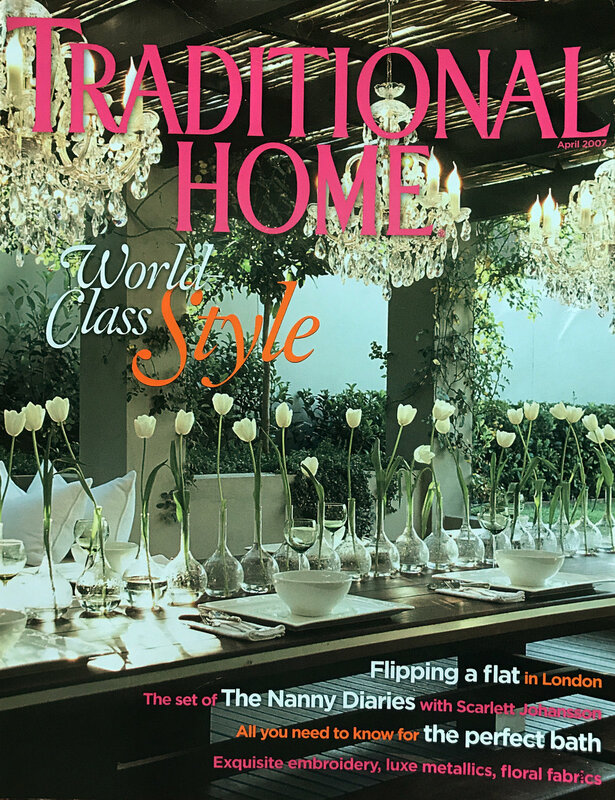 But before all the press, there was a colorful Veranda cover and spread that started it all. 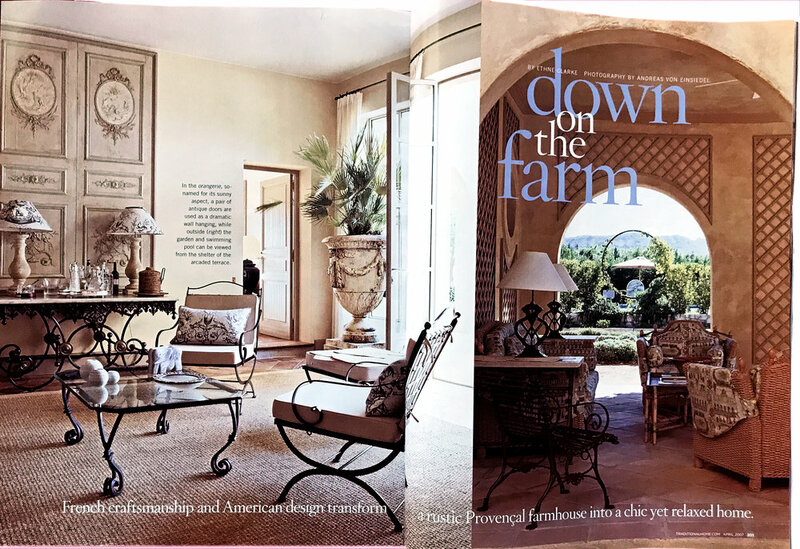 Veranda Magazine spread on Ginny Magher's interior design for a client's South of France inspired coastal Georgia home. 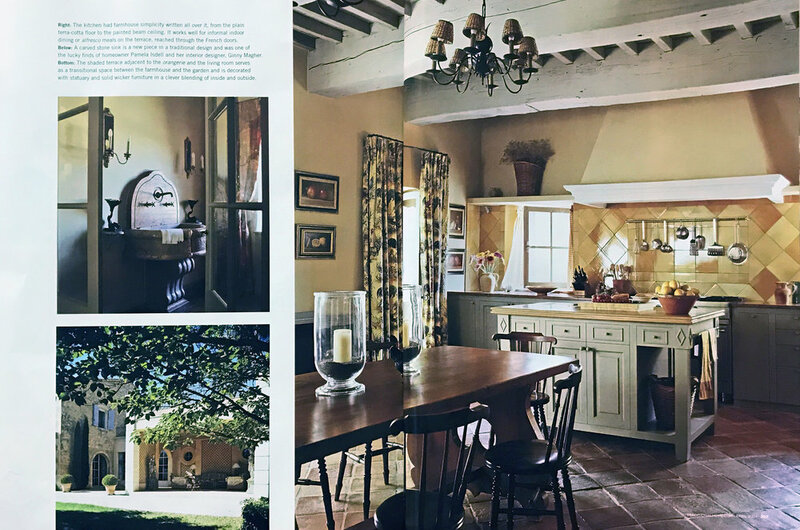 Traditional Home features Ginny Magher's classic French interior design in a client's Provence estate. Ginny Magher Maisons brings California-Modern French-Inspired Design to Laguna Beach, Newport Beach, and Costa Mesa.